Campylobacter (or Campylobacteriosis) is an infectious disease caused by the Campylobacter bacteria (germ). The Campylobacter bacteria lives in the gut of warm-blooded animals such as cattle and sheep. It's particularly common in birds and poultry. The bacteria is passed on in faeces (poo). You can also become infected if you consume contaminated food, water or milk that's infected. Travelling in developing countries where food hygiene is less strict puts you more at risk of infection. You're also more at risk if you work with animals or in the meat industry. You usually get Campylobacter symptoms two to six days after being infected. Symptoms can last up to 10 days. The most common symptoms are stomach pain and diarrhoea, which is sometimes bloody. You may have flu-like symptoms. Campylobacter symptoms are generally mild. But they can be more serious in young children, older people, and people with poor immune systems. How can I avoid getting Campylobacter? The best ways to avoid getting Campylobacter are to practise good hand hygiene and follow food safety advice. How do I know if I have Campylobacter? If you think you have Campylobacter, you should visit your GP for testing and assessment. Your GP may arrange for a sample of your faeces to be tested. If the tests find the Campylobacter infection, your GP will report this to the local public health team. They may contact you for more information. This is to help stop the infection spreading further. There's no specific treatment for Campylobacter. It will usually get better without antibiotics. You should go back to your GP if your symptoms get worse or if they haven't gone away after 10 days. You should take your child to your GP if they aren't drinking. 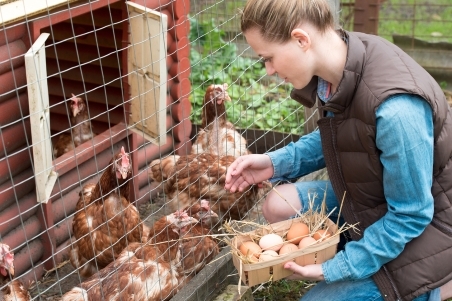 How can I avoid spreading Campylobacter? You can be infectious for two to seven weeks from the start of your illness. To reduce the risk of spreading the infection, it's important to have good hand hygiene. This includes washing your hands with soap and water. Try to avoid preparing food if you have Campylobacter. If you do prepare food, make sure you wash and dry your hands well first. Follow this food safety advice. Information about Campylobacter including symptoms, prevention and treatment. Information on preventing infections like Campylobacter. You can read the information online, download a PDF, or order a hard copy. World Health Organisation – Campylobacter, retrieved November 2017.